Gorgeous outfit. 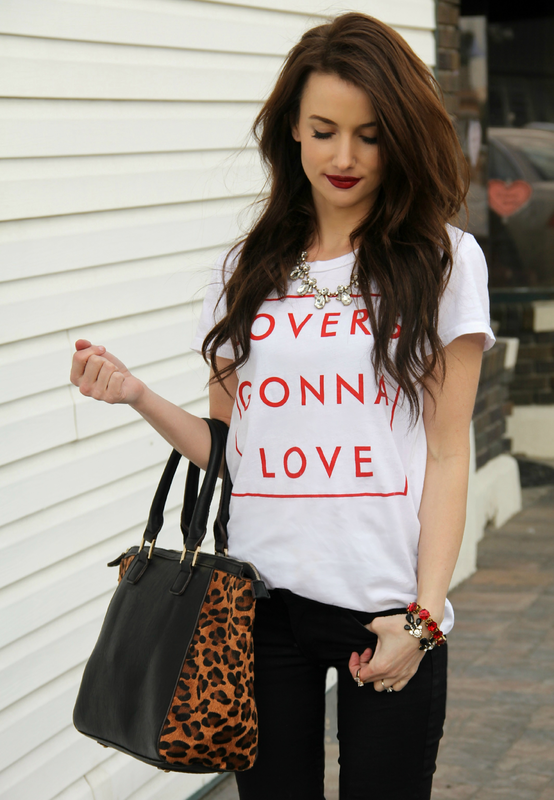 Love the leopard bag! I love those shoes! They caught my eye. I am not a huge v-day fan and I really love to keep it simple, great job! Your lip shade is beautiful! Super fun top too! Love your outfit but I cant get over how beautiful your lip colour is!